Remember the days when some of the biggest events in town were the official launches of a company’s new website? I recall well the circa 1997 launch of a major airlines’ site in London, managed by an ad agency (for which I worked) that was given a tremendous budget to forge this brave new frontier of “cyber-advertising”. The development took many months but was still relatively cheap, so the bulk of the budget was spent on a lavish launch event for hundreds of invitees, which brought together a strange mix of dignitaries, celebrities and techie geeks to share the champagne. The culmination of the evening was the unveiling of the new website – back then, a case of Netscape Navigator pulling up a very simple home page in a slow, piece-by-piece manner, amongst much “ooh-ing” and “aah-ing” from the audience. It was of course just a basic online brochure for the airline – online bookings, for example, were still some way off yet – but that didn’t stop this momentous event from even making the papers the next morning. Today it’s a bit different of course. 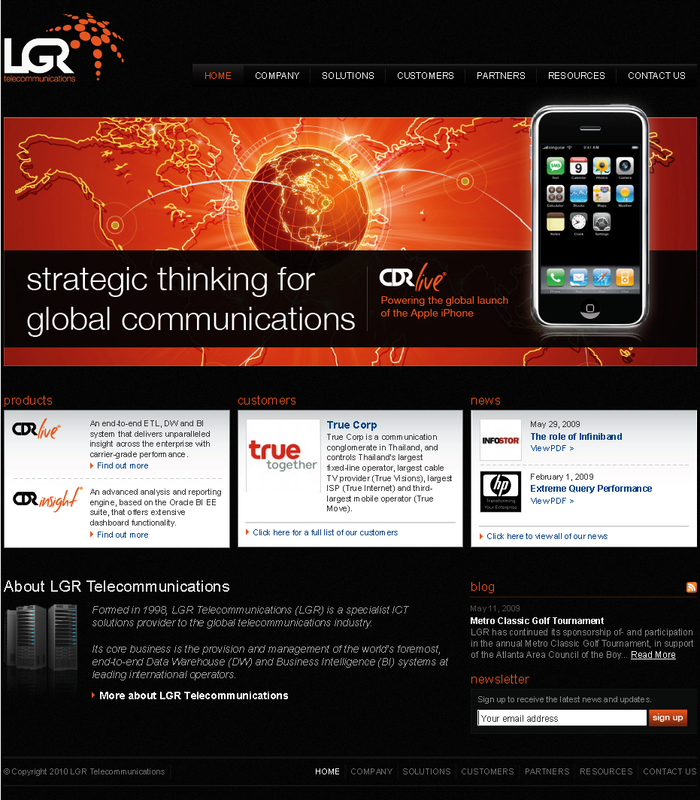 LGR launched it’s new global website today, and managed to get it all done with no launch event, no dignitaries or celebrities, no champagne, no press, and of course no Netscape Navigator. But launch it we did, and we hope you’ll enjoy the new design and find the growing repository of LGR-related information to be informative. Thanks to Piszko Design (www.piszko.com) for their tireless efforts in the face of far less budget and much tighter deadlines than we had in 1997!